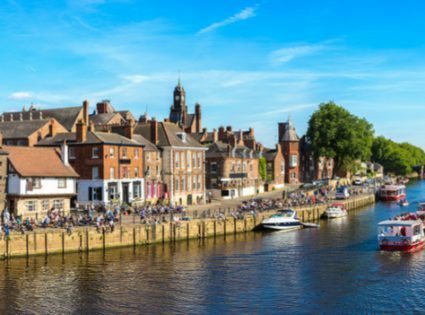 Located in the North of England, York is by far one of the most beautiful old cities to visit. This historic city is over 2000 years old and well preserved for all to see today. The city is bursting with character left by the Roman’s, the Vikings, the Normans, the Georgians, and the Victorians. Not only is the city full of wonderful character and history, but there are also some fantastic places to eat, drink and shop. 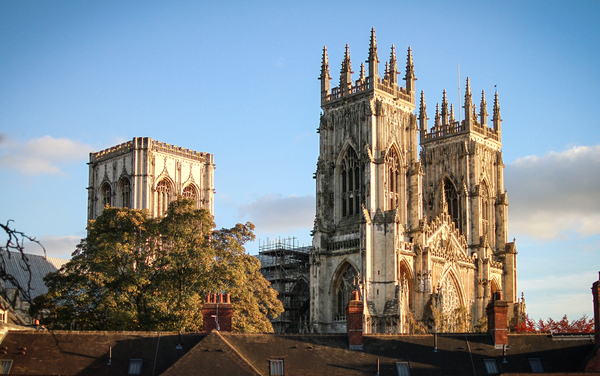 Here we explore the majestic city of York in Northern England. 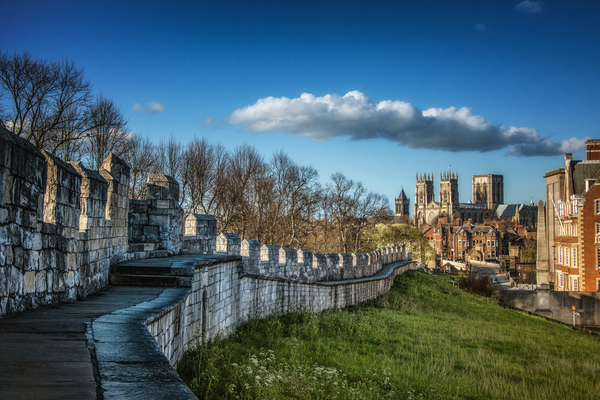 York is surrounded by over two miles of medieval walls which are open for public access. Walking around the York walls is by far the best way to experience the city and view all there is to see. Amongst the many attractions the city has to offer, you will also come across Clifford’s Tower, Jorvik Viking Centre and The National Railway Museum. If you feel like a rest and a coffee to top up your energy levels you will be spoilt for choice with the cities selection of fine cafes and restaurants. 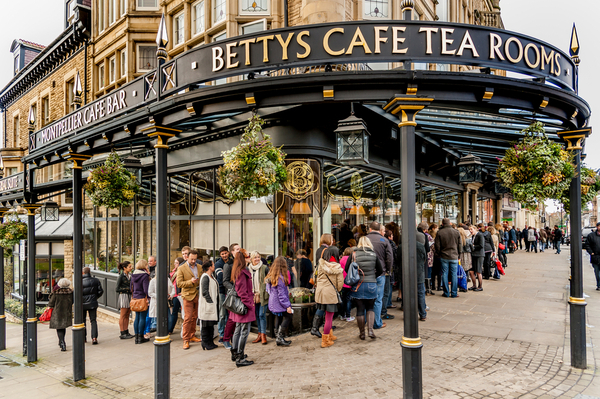 Bettys Tea Rooms is one of the UK’s most traditional cafes and has been open since 1919. You can enjoy afternoon tea and cake in one of the city’s oldest cafes but expect to queue as it is very popular with the tourists! If you are looking to catch the sun rays then head to the cities numerous restaurants and bars along the River House where you can enjoy some lunch while watching the boats go by along the riverbanks. The Kings Arms, Lowther, Revolution and Pitcher, and Piano are also highly recommended sites to see. York is set amongst some beautiful architecture, cobbled streets and Victorian finery so head to Stonegate and the Shambles to experience the historic part of the city. Here you will find a number of gift shops, boutiques, and restaurants. The City is great for families looking to explore a medieval land, couples who fancy aromantic getaway and large parties for a drink by the river. It really is a city that offers romance, decadence, history, and glamour so visit York and experience the wonderful city for yourself. York Minster is by far one of the most iconic buildings in the North of England and one of the greatest cathedrals in the world. Over 250 years the Minster has been built, rebuilt, renovated and restored in order to be the beautiful building we see today. If you feel energetic then head up the 275 steps to the Tower where you can view the city’s most ancient streets whilst stand amongst medieval pinnacles and gargoyles.